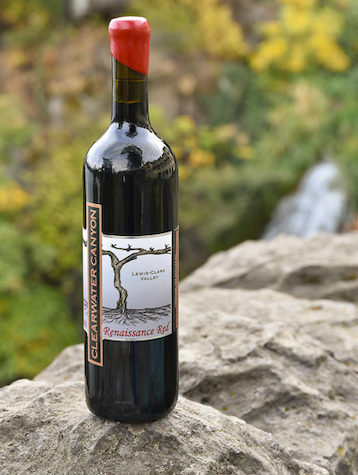 Idaho winemaker Coco Umiker created her latest edition of her flagship wine – Renaissance Red – by blending Malbec (34%), Merlot (28%), Cabernet Franc (15%), Cabernet Sauvignon (12%) and Carmenere (2) with Syrah (9%) using vineyards overseen by her husband, Karl. It opens with spice, black and blue fruit and elegant oak aromas, backed by dark berries, cassis and black plum on the palate. Its chocolaty tannins are smooth and help carry a lush and lingering finish of dark fruit and spice. Soon after it was released, it earned a gold medal in October at the Great Northwest Invitational Wine Competition in Oregon. Last month, it followed that up with a gold medal at the San Francisco Chronicle Wine Competition – the largest judging in North America.